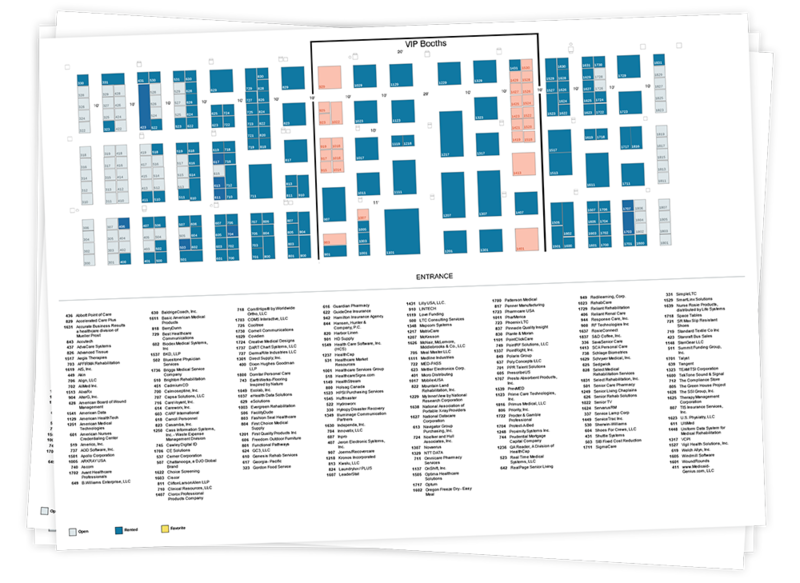 make the interactive expo floor plan yours too! We don't skimp on branding. We know your association's image is important and we want your association to shine. We want people to know this is your event, this is your floor plan. 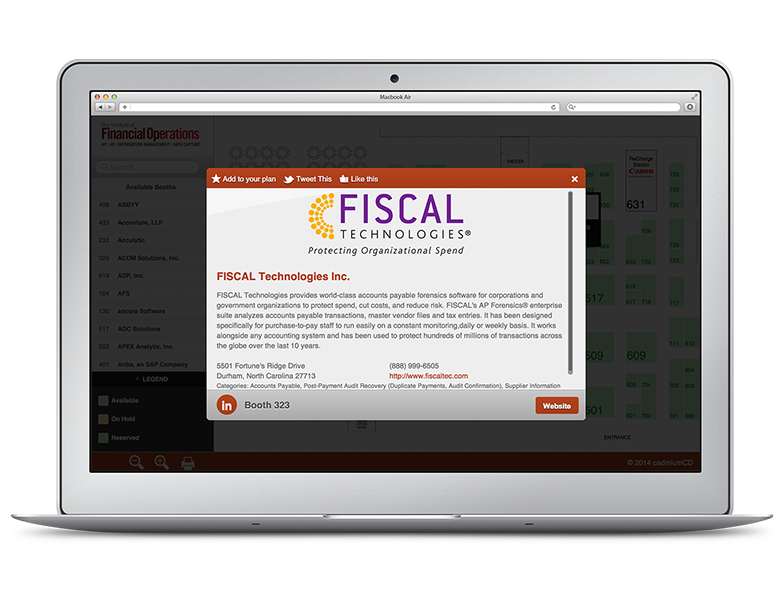 Place a banner across the top, or highlight your company's logo above the navigation tool. We'll work with you and your needs to communicate your brand. We certainly won't throw your image in the bottom corner, invisible to attendees—that's for sure. Satisfied sponsors, exhibitors, and attendees. Place logos on booths and highlight sponsors with alternative colors so they stand out from the crowd. 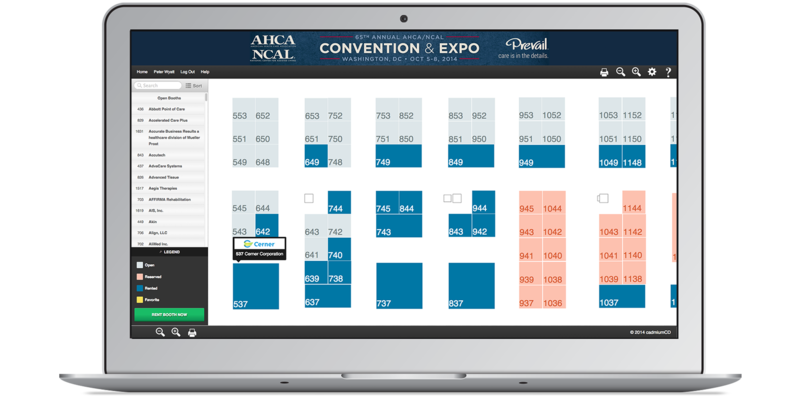 Your expo floor plan shouldn't look like it's from the digital stone age or require software that doesn't work on every operating system—especially mobile platforms. 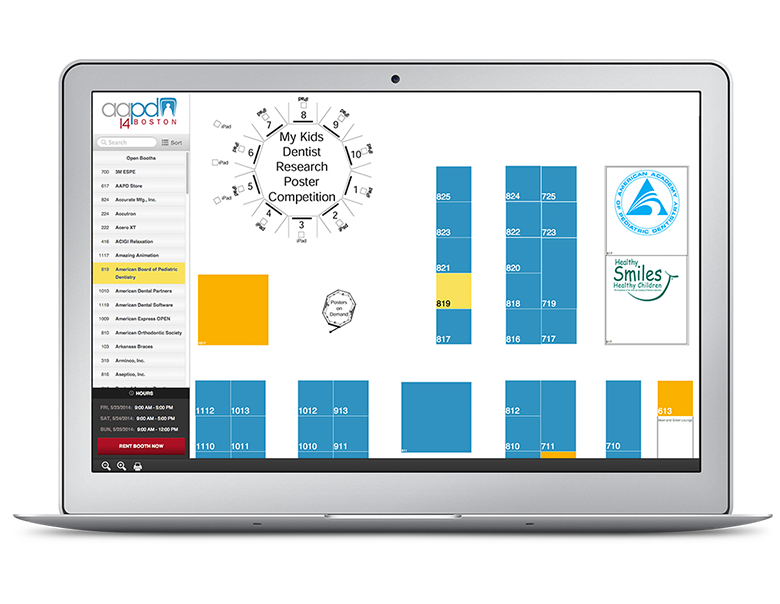 Attendees can search for vendors, browse a list of exhibitors, or click a booth directly to easily navigate exhibitor profiles and documents. It's never been easy to navigate your expo floor plan to find exactly what they're looking for. 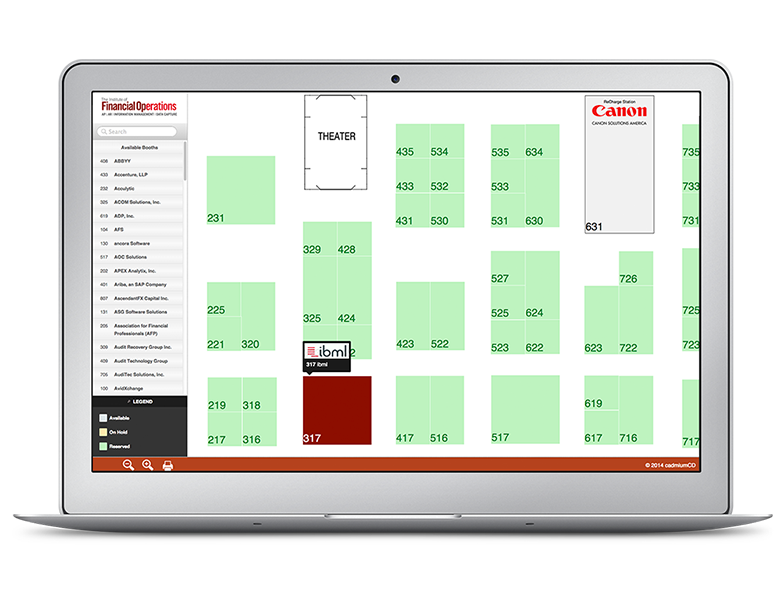 Attendees can download a PDF of your expo floor plan or print it out on a single sheet of paper. They can store it on their laptop or mobile device, or slip it in their pocket for their convenience. Especially during those times when wifi isn't available. It's so intuitive, so beautiful, so much information on such a minimal design, that it can even be used as a one page splash map in your printed trade show brochure.